This simple three-ingredient shortbread cookie recipe makes wonderfully tender, buttery cookies. 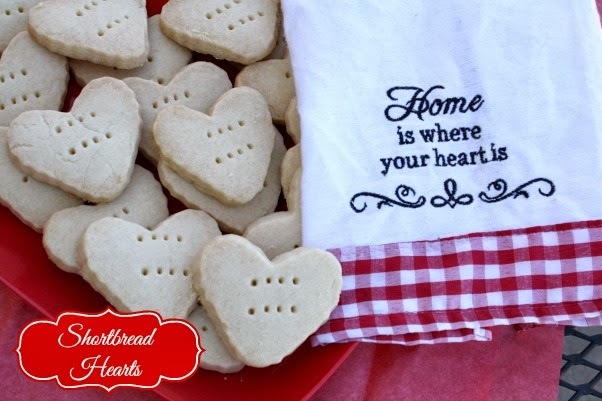 Today I have an easy cookie that's perfect for your Valentine, Shortbread Hearts! Shortbread cookies are simply a thick, rich butter cookie that melts in your mouth. Since shortbread cookies are my husband's favorite I try to make them for his birthday and Valentine's Day. I usually make a batch just for him that he hides so no one else can get their hands on them. I have to say I don't blame him, because they're quite tasty. The best part about this recipe is that it only requires 3 ingredients!!! I prefer just plain shortbread cookies, but if you want to get all fancy for the holidays you can dip one side into melted chocolate and then holiday sprinkles. I usually save this for Christmas because they look really pretty on a holiday cookie tray with festive sprinkles. 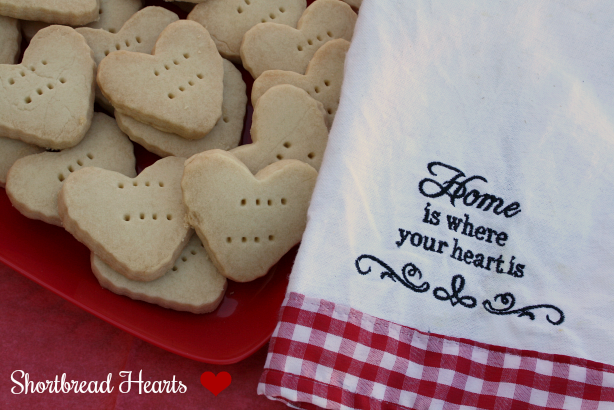 For an added touch place the shortbread hearts into a valentine themed or heart shaped box. Enjoy! Preheat oven to 300 degrees. In mixing bowl, cream butter. Add flour and sugar; mix to combine or just until it forms a soft dough (chill 10 - 15 minutes if dough is too soft). Gently roll shortbread dough out on a lightly floured surface to about 1/4 inch thick. Cut with a heart shaped cookie cutter (dipped in flour). Using a fork that has been dipped into flour lightly poke a few holes on top of each heart (see photo). Place on a parchment lined baking sheet or a baking sheet that has been sprayed with baking spray. Bake until firm and slightly golden brown (30 to 35 minutes). Cool on baking sheet for 5 minutes, then remove to a cooling rack to cool completely. Makes 8-10 cookies. Cook's Note: I always double the recipe, so there's plenty to go around.